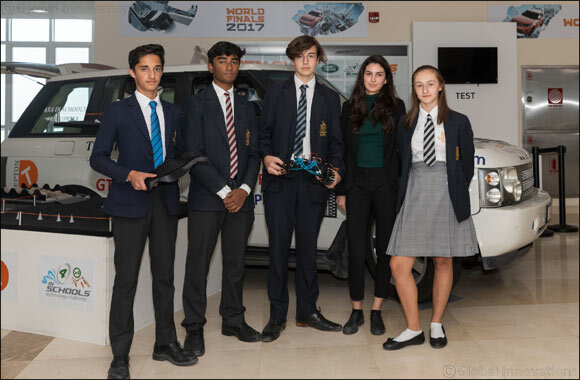 Dubai, United Arab Emirates (April 13, 2019) – Pupils from Repton School Dubai return to the World Finals for the Landrover 4 x 4 Schools Technology Challenge with a five-member team. Repton School Dubai will be the only school in the UAE representing the country at the World Finals, which will take place in The University of Warwick in Coventry, UK during this week. David Cook, Headmaster, Repton School Dubai, “We are delighted to represent UAE once again at the prestigious Landrover 4 x 4 World Finals. Being the only school from the country, the challenge is an excellent opportunity that provides our pupils a platform to earn worldwide recognition. The competition also teaches teamwork, develops communication and problem-solving skills that enable them to be better equipped for challenges they may face in the future. At the last World Finals, Repton Dubai won honors for Sustainability and The Most Effective Newcomer. It remains truly inspiring to see how ardent and committed our pupils are to develop their skills and vehicle model as we look forward to achieving another record at the upcoming finals”.